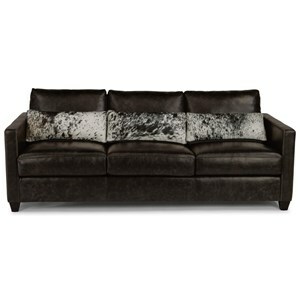 This sofa has inviting contemporary style mixed with just a hint of a dramatic flair. Its low, T-style track arms and block legs bring a relaxed yet modern feel to this piece. 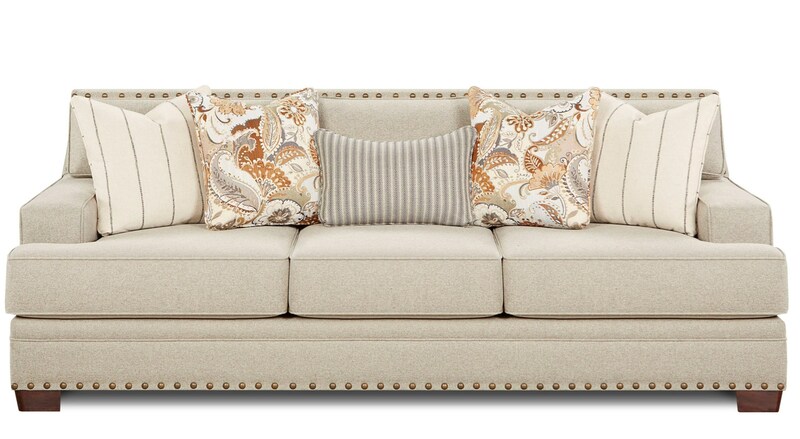 The nail head trim accenting on both the base and sofa back highlight the sofa's sleek lines and add an extra dash of stylistic flair. The 8700 Contemporary Sofa with Track Arms and Nail Head Trim by Fusion Furniture at Reeds Furniture in the Los Angeles, Thousand Oaks, Simi Valley, Agoura Hills, Woodland Hills, California area. Product availability may vary. Contact us for the most current availability on this product.